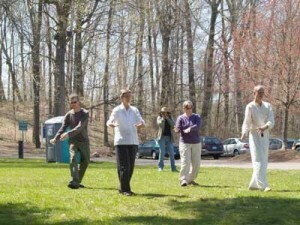 Welcome to High Mountain Flowing Water Tai Chi. 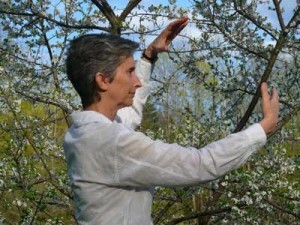 Instructor Ellie Hayes has been learning and sharing Tai Chi since 1974. Modest-sized, multilevel classes offer ample opportunity for 1:1 instruction as well as peer mentoring. Classes are currently offered in the Montpelier, Vermont area. 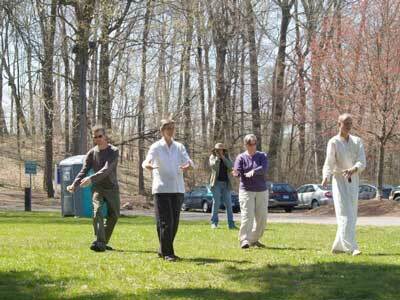 Tai Chi comes to us from ancient China. There are many styles or lineages, each with its own unique features, but all styles of share core principles in common – among them, mind-body integration through slow, fluid, grounded movements. Any style can be practiced either to develop skill as a martial artist, or to enhance physical and spiritual wellbeing. While these aims are not necessarily incompatible, classes offered through High Mountain Flowing Water Tai Chi give full emphasis to relaxation of body and mind, freeing internal energy to maximize health benefits and bring mindful awareness to the present moment.